Raw water lines. Cooling lines. Chemical waste lines. Storm water draining lines. Fire protection lines. ISCO has the High Density Polyethylene (HDPE) pipe to meet all of these needs, including above-ground, underground and FM-approved firewater applications. 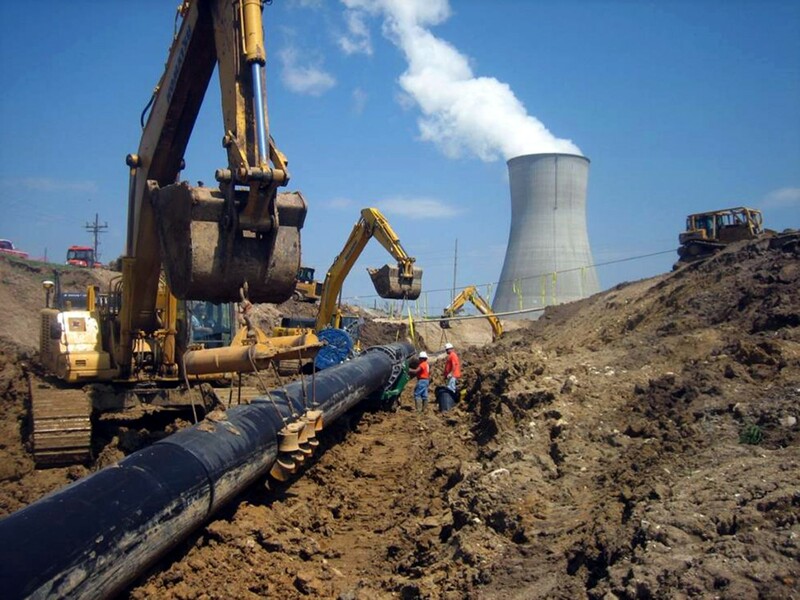 The combination of cost-competitive materials, speed of installation, time-proven system integrity and corrosion resistance have made HDPE pipe the material of choice for refineries, petrochemical plants, LNG projects, paper and pulp mills, as well as nuclear, natural gas, and coal-fired power plants. ISCO’s expertise in navigating the labyrinth of specification and quality requirements, as well as providing the equipment, training and on-site testing you need are the reason ISCO is the supplier and fabricator of choice. It’s a total package that has made ISCO a world leader in fluid collection and transportation. 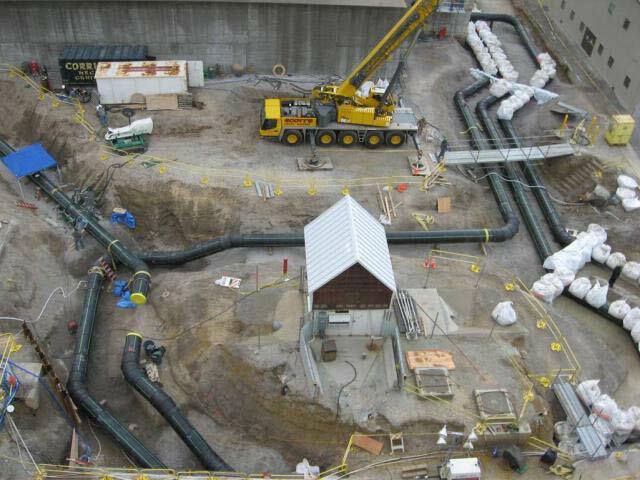 Replacing corroded carbon steel piping with HDPE at nuclear power plant. The AmerenUE Callaway nuclear plant in Missouri faced a dilemma. After just twenty-three years, the carbon steel pipe used in the Essential Service Water system was a victim of pin-hole leaks and pitting due to microbiologically induced corrosion, or MIC. Replacing the 2,000 feet of 30” ASME Class 3 steel pipe with the same material was a concern as it meant the system would again need to be replaced prior to the expiration of the plant’s expected operating life. A new solution had to be found – but it also had to be approved through a complex and extensive approval processes involving ASME and the Nuclear Regulatory Commission (NRC). 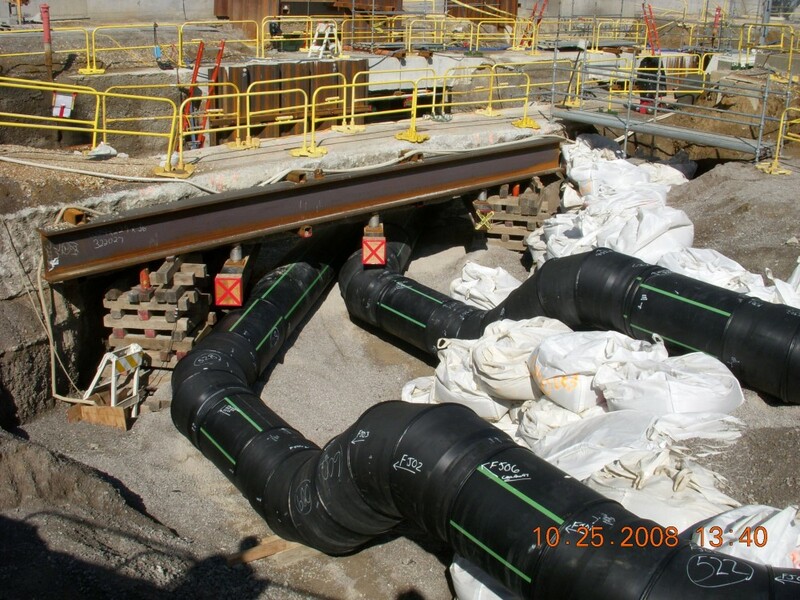 Working together with construction contractors, Corrigan Company and Bloomsdale Excavating, ISCO provided the project with HDPE pipe, fittings, on-site training, and the fusion welding equipment. The versatility of the ISCO provided McElroy Trac900 fusion machines allowed for a vast majority of the joints to be welded in the trenches creating a safe and efficient means for completing the project. A successful project of firsts including the first implementation of the newly developed ASME Code Case N-755, the first installation of HDPE in an ASME Class 3 system, and the first NRC relief request approval for the use of an HDPE piping system. This provides a cost saving, long-term and safe option for other nuclear facilities around the country with degrading infrastructure. From training to final testing, the actual installation process took just 12 months with no disruption in service for the 780,000 households using electricity generated by the Calloway plant. Do you have piping in your industrial or power generation plant that needs to be replaced or updated? Questions about HDPE that you need answered? E-mail us at industrialpower@ISCO-pipe.com and an ISCO product expert will contact you promptly and personally. TO LEARN MORE ABOUT INDUSTRIAL & POWER HDPE PIPE SPECIFICATIONS CHECK OUT OUR BROCHURE.